February has been designated Black History Month. 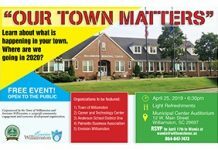 The Town of Williamston andThe Journal continue the recognition of local AFrican Amercians who have had an impact on the area, this week honoring Mrs. Bobbie Mattison Mackey. Mrs. Bobbie Mattison Mackey is a retired educator, with 42 years of service in Anderson School District One. 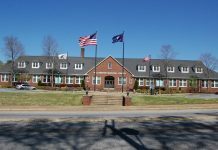 She began her teaching career at Caroline School and completed her many years of teaching at Pelzer Primary in Pelzer. Mrs. Mackey’s teaching philosophy has always been to “be fair, firm, and consistent” with all students and to inspire her students to be successful in life. She was selected as Teacher of the Year numerous times, and was also selected as District Teacher of the Year. Mrs. Mackey is a graduate of Caroline High School in Williamston and South Carolina State University in Orangeburg, where she earned a Bachelor of Science degree in Elementary Education. She also attended Clemson University where she earned a Masters of Art degree in Elementary Education and a Masters of Art degree in Reading Education. While attending South Carolina State University, Mackey was a devoted college student where she participated in the university’s choir and was a cheerleader for the football team. After graduating from college and graduate school, she assisted with the 4-H Club in Williamston and the Clemson University Extension Service. Mackey grew up in New Prospect Missionary Baptist Church where she is still a member. Since the 1950s she has participated in and played diligently for the church. She is a former teacher and pianist for the Sunday School Department. At an early age she organized and played for the Ensemble, a choir consisting of several family members, the Male Chorus which continues to sing each month, and participated in the New World TV program on News Channel 4, which was organized by the late Rev. Norman P. Pearson, pastor of New Prospect Missionary Baptist Church. Mackey is also a reading tutor for the Youth Department’s first graders. She has strong beliefs toward the education of the youth and that all students should be given the opportunity to excel in their chosen field. Bobbie Mattison Mackey is the daughter of the late Deacon Rochell and Hattie Mae Anderson Mattison of Williamston. 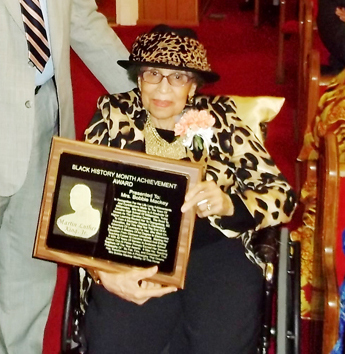 She is the wife of Dr. Harold J. Mackey and they have one daughter, Ms. Harriette L. Mackey, teacher, of Spartanburg.